Let a party boat rental surprise your daughter for her upcoming sweet sixteen or quinceanera. There’s no denying the fact that turning sixteen is a major transition from childhood into early adulthood. Different cultures celebrate this turning point in life in various ways, but they all agree that it is a celebration of life. You can make this special day an amazing one for your teenager by hosting a sweet 16 boat party on a Charter One luxury yacht. Cruising along the beautiful Florida waterways while celebrating this milestone birthday is the ultimate party experience that your teen and her friends will love. While planning for SAT’s and college, and a good future, your teen deserves a break from the routine to celebrate her future in style, luxury and fun. Many people like to have a special theme for their party, and your teen is no exception. A favorite hobby or sport can serve for a theme, or our team of creative party planners can help you select one. We have lots of great ideas to make your party boat rental a unique event that will be remembered for years to come. Festive decorations are a must to create a playful ambiance that will put a smile on everyone’s face, and our team will incorporate your theme into the mix. 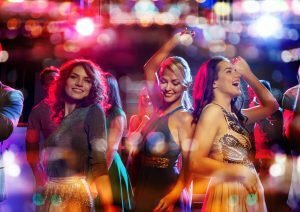 If your teen loves to sing, you could add karaoke to the fun, plus a DJ or live band for dancing. There is no end to the possibilities that can be incorporated into your yacht rental for party fun. Sweet 16 parties should be sweet and that means lots of chocolate for everyone to enjoy. You may select to have chocolate fountain add-on stations, with fresh fruit to snack on. Our party boat rental menus come in a variety of ethnic fare that will surely please your teen and her guests. We serve delicious Five Star cuisine that includes: Thai, Italian, Asian, American and more, and we could customize a menu that will delight teenagers. You can also select a custom cake, or cupcakes, for the birthday girl along with cappuccino or lattes, tea, and other beverages. Dining style varieties include: luncheons, buffet-style and sit-down dining; any of which will work with your sweet 16 party boat theme. Our gorgeous vessel The Grand Floridian is the epitome of a luxury party boat rental. This spectacular beauty boasts 18,000 square feet of space on four levels and can easily accommodate 550 guests. She offers multiple dance areas, state of the art media capability, thirteen HD televisions, elevator service, a custom full-service bar and private suites below deck. Your guests can enjoy the striking views of the South Florida coast as they lounge on the sky deck, top deck, covered sky lounge or two aft balconies. There is also plenty of room to roam around and enjoy the indoor and outdoor lounge areas. The Summer Wind is the essence of a private yacht that you can call your own. This beautiful vessel can easily entertain up to sixty guests and is the perfect sweet 16 boat party venue for smaller gatherings. This yacht rental for party fun offers beautifully appointed indoor and outdoor lounge seating, a custom full-service bar, multiple cuisine menus, and lovely private suites below deck. You teen will enjoy the Summer Wind as her very own sweet 16 private yacht for the day. You can have an inspired and very sweet 16 boat party that your teen will never forget. To begin making your party plans today, contact Charter One today at: 954-771-0102. Book a Christmas Party Boat for the Most Magical Holiday Party!